Running as a form of exercise can be a very healthy endeavor, however, it can be very stressful for the body. It is a well known that running can extend your life, but continuous pounding on concrete can take a toll on the body over a number of years. Generally a person needs to have some sort of strategy when it comes to running. Athletes can train at a moderately higher intensity level than the average Joe can. This is where the difference between safe running and dangerous running exists. Sprinting too hard for too long is dangerous, but jogging will do the body good. Everyone is different based on age, ability and health. I will go over a few different ways running provides a positive and negative stress on the body. It is important to realize that physical stress is stress and the body doesn’t know the difference; any type of exercise is a form of stress the body has to respond to. The positive benefits of running a mile or two are numerous. Running will release endorphins that give the body a “feel good” feeling as well as a feeling of more energy. This release is good for the body as well as the mind because you build endurance as well as feel good afterwards. Things such as improved heart rate, better blood flow and overall body tone are some of the physical benefits running can have. It is obvious that running can be a good exercise to use to lose weight. 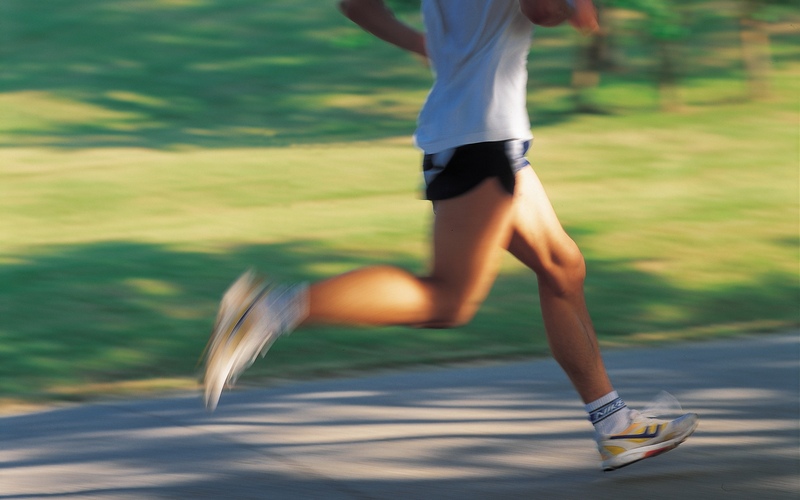 Running uses nearly all the muscles in the body and burns a lot calories. A moderate jog is sufficient for people overweight or beginners. Marathons should not be used as a weight loss tool, even at a moderate pace the distance is too great for people not accustom to running long distances. The ways that running can have a detrimental effect on you is by running too intensely. Participating in a marathon without proper training can have dramatic effects on your body. The general idea to running is to build endurance. Endurance cannot be built in a short period of time; it takes time and training. Sprinting is not an exercise for people overweight, it is too stressful on the body and an overweight person’s body can’t handle that amount of weight and intensity while running. A better idea is a moderate or even walking. Running is also stressful on the joints such as the knees and ankles. If these joints become over worked they can break down. The body can become accustom to running the “wrong way” things like the way your foot lands when you run, the way your arms swing when you run can negatively affect your body throughout your run. Running has such an effect on the heart, that people with heart conditions can further damage their heart by not consulting a doctor prior to taking a running routine. It is very possible to experience a heart attack induced by running too hard. So when you are deciding whether to incorporate running into your fitness routine, just keep in mind that sometimes there can be better alternatives to running. If you have sufficiently built your endurance to a level that allows you to incorporate running into your routine, then I highly encourage you to do so!